Here at Ultimate Sails we’ve been designing race winning sails for the J109 ever since the first boat was launched in France in the early 2000s. During that time we've worked with the designers and best sailors in the class to help maximise the boats performance through developments in sails and rig tuning. There's not much we don't know about what makes a J109 perform and how to help our customers get to the front of the fleet!. Our J109 sails have helped owners to win the Commodores Cup, Spi Ouest, the National Championships, Cowes Week, The Spring Series, The Winter Series, the J109 class in the Fastnet race and the RORC Channel Challenge Cup. The key to great One Design sails in any class is achieving a good balance between shape retaining strength and the forgiving easy-to-trim feel needed to keep the boat going fast across the wind range. Our ongoing design and development programme for the J109 class has produced faster, longer lasting and more cost effective sails which have always shown great all round performance and durability. 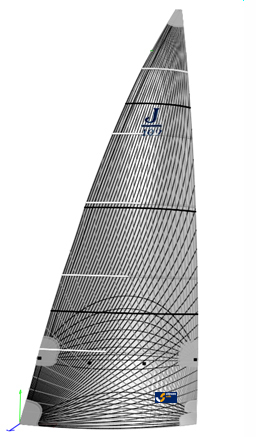 J109 Upwind Class sails are made using our Lightwave composite Membrane technology. Lightwave is the original and most versatile patented sail technology which we developed for owners who were asking for ever faster and lighter sails but with the added long life and hard wearing capability expected of a One Design sail. Designed and engineered as a one piece Membrane with custom Yarn layouts on the inside of the laminate and soft UV treated Mylar film on the outside. The highly sophisticated Yarn layouts provide incredible strength to absorb the dynamic sailing loads and ensure that as the loads and trim vary the shape of the sail remains stable. At the same time the UV film provides the highest level of protection against creasing and UV damage. Loads imposed by a reefed or rolled sail are addressed by secondary yarn layers that blend in with the primary layers. 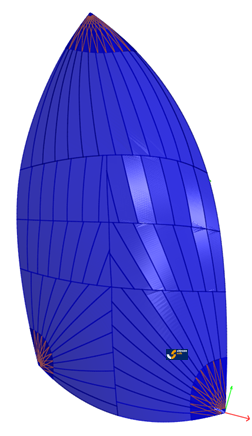 This technique extends the performance and structural life of the sail dramatically. Superior lamination technology allows the concentration of yarns directly into the corner load points making heavy corner reinforcements redundant. The upwind sails need to work together to increase the performance of the overall sail plan. 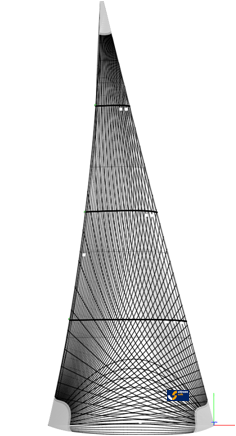 We’ve changed the mainsail design to suit the more efficient headsails with a powerful and twisted shape which reduces heel and is very easy to trim. 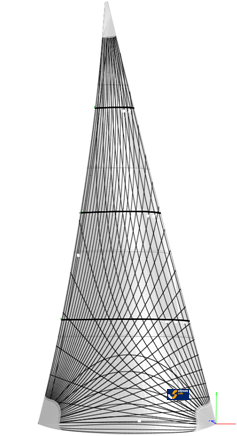 We’ve also recently tweaked our fibre layouts to help support the aerodynamic shape of the sail over the full range of backstay tensions. The J/109 carries overlapping Genoa's set on a furler which creates a significant performance sapping factor called the “end plate effect. This is where the aerodynamic efficiency of a sail is reduced whenever there is a gap between the foot of the sail and the deck allowing air to escape underneath. 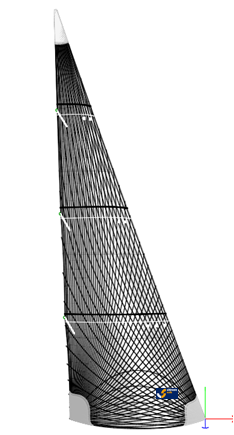 Most J/109 headsails don't have enough foot round and the result is a gap between the sail and the deck and a less efficient sail. Ultimate Sails J109 No.1 and No.2 Genoa's are designed with the foot touching the deck which forces the air to travel up over the sail at all times and gives a resultant increase in performance. Scientific tests have shown that the aerodynamic efficiency of a sail is increased by between 5% and 7% when the gap between the foot of the sail and the deck is closed. You really see the difference when accelerating out of a tack, get into a tacking battle with anyone using our latest designs and there will only be one winner! All the Class headsails have powerful shapes which make the boat easy to steer. We’ve also increased the fibre content (DPI) to help them hold their shape at the top of the wind range and widen the windspeed range which each sail is efficient. 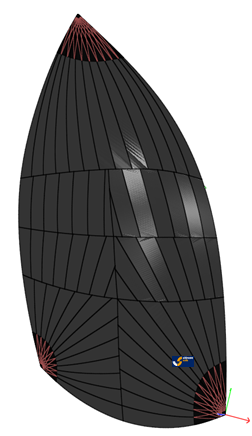 Another key design feature in the No.1 Genoa is the optimized leech hollow which ensures the sail can be sheeted properly around the top spreader. The biggest change in sail design during the life of the class has undoubtedly been in the downwind sails. 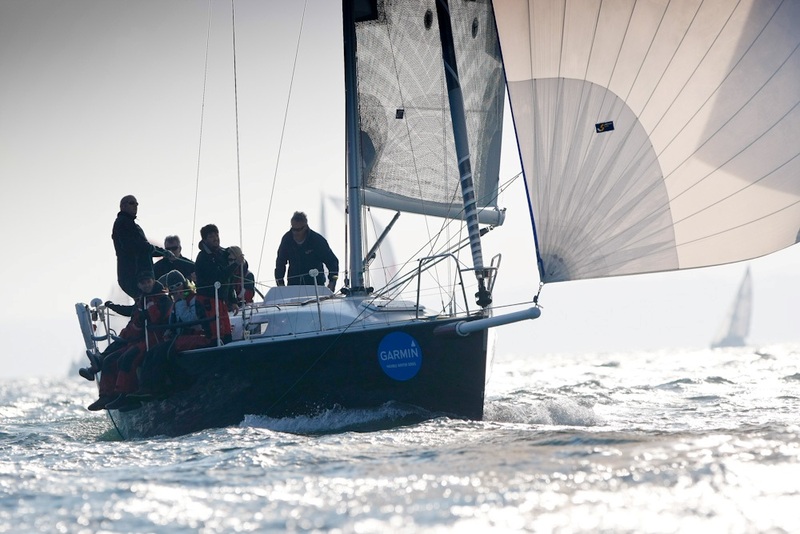 Class racing has always been about having a sail that allows you to sail deeper and ideally faster with increased VMG. 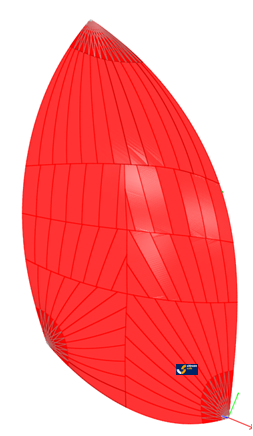 Ultimate Sails designs are very stable and can be rolled well to windward to allow you to sail deeper angles. This combined with maximum twist in the top leech to increase acceleration results in great all round sails which have consistently proved to be faster than the competition. The Team at Ultimate Sails have helped develop the J109 from it's inception and were the first to design sails for the boat. Our knowledge and track record when it comes to the J109 is second to none.